As Chief Strategy Officer of DAE, Alexander Rasnavad is continuing a 40 year family legacy in aviation across ACMI/air cargo operations and aircraft leasing. 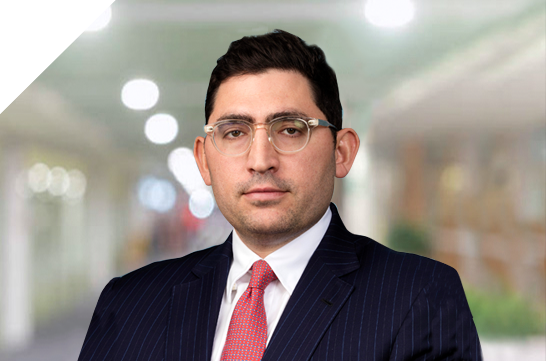 Today, he leads the team that initiates and manages DAE Capital’s overall market strategy and trading activity and is responsible for DAE Capital’s acquisition and divestment activity in the secondary market. Under his leadership, DAE Capital has been one of the most active trading lessors worldwide across new, mid-life and mature assets. He transitioned to his current role following DAE’s acquisition of AWAS in 2017 where he was Head of Trading. Alexander joined AWAS in 2012 in Singapore where he developed its Asia Pacific investor and lessor market footprint. He began his career in 2006 on the advisory side with SkyWorks Capital in the US and then moved to Hong Kong in 2008 where he played an integral role in developing relationships with and marketing advisory services to airlines, lessors, and financial institutions throughout Asia Pacific. He was responsible for deal origination and execution with primary focus on new and used aircraft financing, acquisitions and sales, new aircraft/engine order placements as well as M&A and strategic advisory projects.